Whenever I’m planning a big trip or doing something for the first time I always like to develop a good idea of what to expect. Like an image in my head of how it is going to be and what I might learn as part of this new adventure. 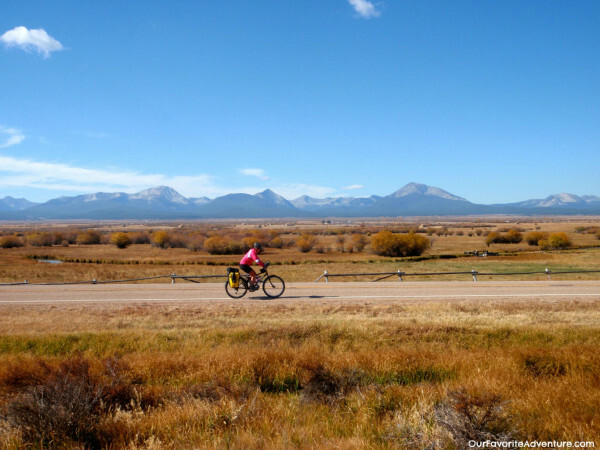 It would be fair to say that when my husband and I decided to ride our bicycles almost 5,000 miles across the United States I had absolutely no idea what was in store for me. 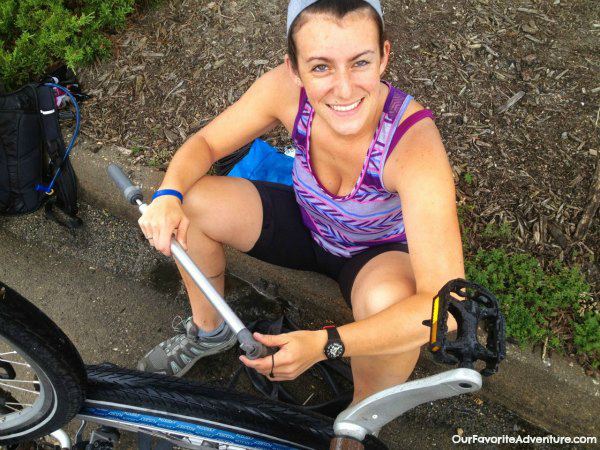 Sure, I knew how to ride a bike and “travel” could have been my middle name, but I never could have foreseen what a life-changing journey it would truly be. In June of 2012, after quitting our jobs and selling just about everything we owned, my man and I set out to ride our bikes from the coast of Virginia to the coast of Oregon. Everything that was needed for camping, cooking, bike maintenance and clothes for all weather conditions had to fit into several small bags on our bikes. Then, with our trusty maps of the TransAmerica bike route, we set off to have an adventure. The challenges – physical, mental and emotional – were some of the greatest, yet most rewarding of my life so far. The year of our tour was one of the hottest summers in history. We pedaled through the heat of the South in June and July, proceeded to meet relentless rain in Oregon and all kinds of hail storms in between. We had far too many flat tires and days with broken bikes in the middle of nowhere. And finding somewhere to camp or sleep was an on-going adventure in itself. But as always, travel teaches us a lesson or two, even or especially if it does not run as smooth as planned. I would like to share a few of these lessons. Even though I learned them from this cross-country bicycle trip, I believe that they are valid far beyond that. This is probably the most important lesson ever. 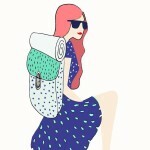 Being a slight control freak, I wanted to plan every single day down to the mile and the night’s sleeping arrangements all in advance. But I learnt, life does not work when you try to plan it all to a T and neither does a bicycle tour. The road taught me to let go of the control, being in the moment, trusting that the universe had my back and that even when it turned into a worst-case scenario that at least it would make for a great story. Like Dr. Martin Luther King Jr. famously stated, “…you don’t have to see the whole staircase, just take the first step”. So that became my mantra. If I could see what we had to take on for the next two days, if I could think of the trip only two days at a time, the next 100 miles at a time, then eventually I would get to the top of the proverbial staircase. Neither way is the right way. The only way to travel, bike, or live is the way you want. You have to do what feels right to you. You have to do what resonates with your purpose. It is about being comfortable with yourself and not being affected by how others might be doing it better, or faster, or slower, or with more expertise. 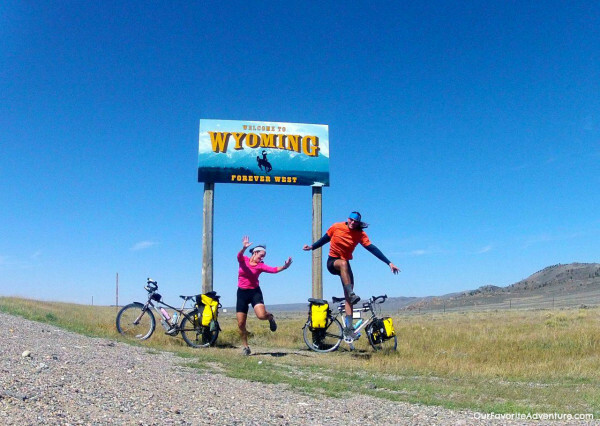 It took us 5 months to cycle across America and there is no doubt that this was the right time for us. If someone were to ask me what the best part of our trip across ten States was, without hesitation my answer would be: the restoration of my faith in humanity. The generosity that we encountered was unreal. We were rescued or invited in by churches, individuals and families – all total strangers. We were offered a safe place to stay in bad weather, a hot meal when we were cold and wet, a ride when the bikes were broken – or we were broken – and met fellow cyclists who offered spare parts or knowledge about bike maintenance. The lesson learned was that there truly are good people in the world that want to help others with no hidden motives. And meeting countless people like this made me want to be a better person myself as well. I was sure in the beginning that asking my body to ride a bike 50+ miles per day for so long was going to be the most difficult challenge of this trip. But in reality, this trip required much less physical ability – I’d say 20% – than mental strength and toughness – rather 80%. Convincing and mentally making myself climb the third mountain pass of the day, not give in to the 25mph headwind and keep the head up on our quest for drinkable water got me a lot farther than simply pedaling the bike. I realized that if I believe in myself I can accomplish anything. 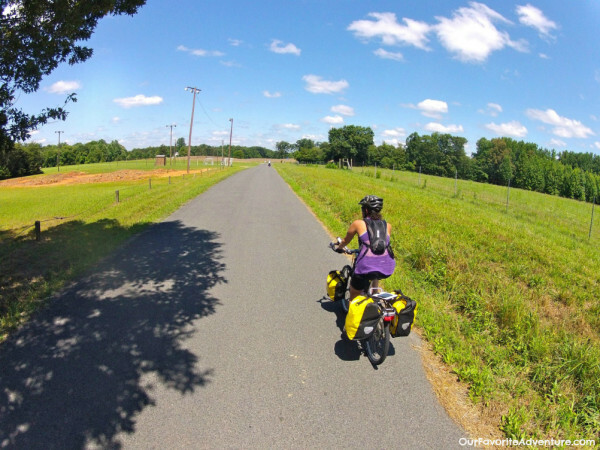 The TransAmerica trail leads from Yorktown, Virginia to Astroria, Oregon. You should allow at least 3 months for the crossing and it should be down between May and September. The highest pass is over 3.500m (11.500ft) and the weather can go from steaming hot in the Mid-West to snowy cold in the Rocky Mountains. However, the experience of crossing a continent by your own physical strength and will-power makes for a great achievement. If you choose this trail, I hope you will learn as much about yourself as I did. 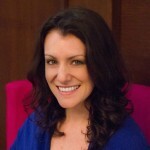 Kathleen Ventura is a life coach and nomadic traveler. 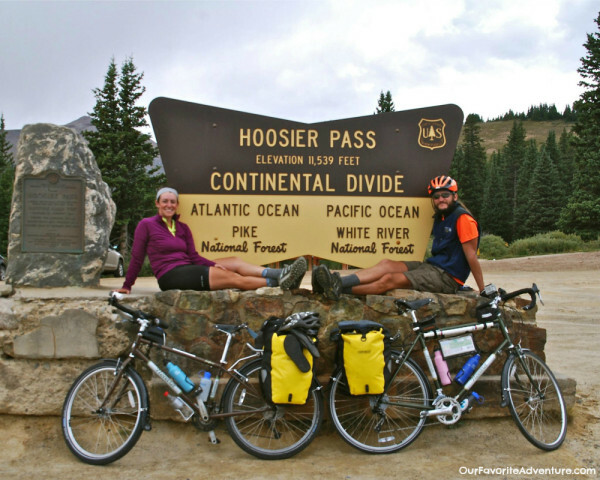 She and her husband have been traveling the world slowly for the past two years starting with the TransAmerica bike tour in 2012. Right now she is focused on maintaining a nomadic lifestyle by devoting her energy to her life coaching business helping women who want to have outstanding lives. You can read about her travels on Our Favorite Adventure. wow that must have been really difficult! congrats. Hey Rachel! It was an insane challenge, that's for sure! Thanks for reading the article :) p.s. LOVE the name of your site, so clever. What a great adventure and excellent advice about doing everything at your own pace. Enjoy your travels! This is so awesome. I did a cross country cycling trip last summer with a non profit group and after reading this you are really making me want to do it self supported. Awesome adventure!